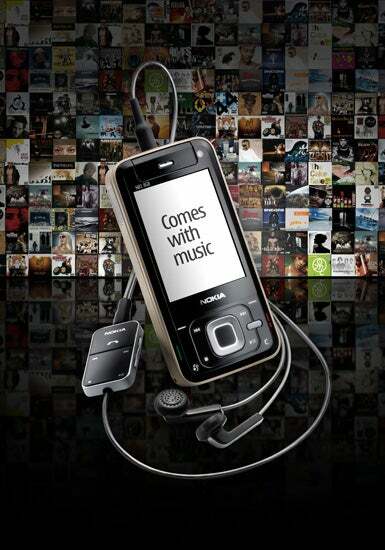 Nokia Comes With Music is a new program that will get you a year of free "unlimited access to millions of tracks from a range of great artists - past, present and future" when you buy a new Nokia device. Yes. Free. Gratis. Apparently the stuff-your-ears-until-you-explode service is subscription-based and the first year is free with the phone but, unlike other similar offers, you keep the music after the subscription is over. Could this really be free beer? There are no details about the program yet. Anssi Vanjoki, Executive VP, General Manager of Multimedia for the company and the man who once said he wanted Nokia to take over the world, said that this program "fulfills our dream to give consumers all the music they want, wherever they want it, while rewarding the artists who create it." In addition to this, the CEO of Universal Music Group dropped your usual marketdronespeak quote: "Comes With Music allows our artists to reach new audiences in a very easy and affordable way."